What Influences Bid Ask Spreads in Forex Trading? One of the first concepts that a trader new to the forex market will come across is that of the bid ask or dealing spread. Since most retail based forex trades are executed without the broker charging a commission, the bid ask spread represents the most basic cost of doing business in the spot FX market. When a currency trader executes a forex deal that has been quoted on by a broker or market maker, it typically means that the trader will be paying away a few pips in order to be able to take on or close out the forex position they desire. The following sections will discuss the bid ask spread and several other topics related to it that forex traders should be aware of. The dealing spread observed in quotations made by forex market makers is simply defined as the difference between a currency pair’s bid and ask price. The bid price is the exchange rate at which the market maker will purchase the currency pair, while the ask price is the exchange rate at which they will sell the currency pair. As an example, consider the following screenshot image from MetaTrader showing the bid ask spread for the EUR/USD currency pair in the dealing window. You will note that the bid exchange rate the trader can sell at is 1.05716, while the offer or ask exchange rate they can buy at is 1.05733. The dealing spread is the difference between those exchange rates, which is computed by subtracting the bid price from the offer or ask price. In this example that would be or 0.00017 or 1.7 pips. Figure #1: MetaTrader screenshot for EUR/USD showing bid and ask prices in dealing window. Professional forex market makers and online forex brokers typically make their money by marking up the bid ask spread available to them in the professional Interbank forex market. This gives them the ability to either offset the position or absorb it into their existing position at a favorable exchange rate. Basically, the more often the market marker is able to offset one client’s position with another’s, the more often they can theoretically capture this bid ask spread to the benefit of their overall profitability. Of course, they also take on some risk if the market is moving rapidly against the position they obtain from a client dealing on their quoted exchange rate price. Professional market makers may skew their dealing spreads higher or lower based upon their view of which way the market will move in the near future. In addition, market makers will sometimes also “read” a client by deliberately skewing the price quoted after first anticipating what the client is going to do based upon their past activity, known position or prevailing market conditions. In practice, this reading process means that if the market maker thinks the client is going to be a seller, they will then quote them as tight a bid ask spread as the client would normally expect, but with the entire price skewed down below the prevailing market. If the client deals, this allows the market maker to purchase that position at a considerably better exchange rate than that available in the Interbank market. Conversely, if the market maker thinks the client is a buyer, they might quote a tight bid ask spread skewed upwards above the prevailing market. Unless the client declines to deal, this helps the market maker sell the position to the client at an even more advantageous exchange rate for themselves. What Determines the Width of the Forex Bid Ask Spread? The width of a forex trading spread quoted by a broker or market maker tends to depend on a number of factors. The first and foremost is the currency pair involved, since different currency pairs tend to have different average bid ask spreads. In general, the most liquid currency pairs, such as the major currency pairs like EUR/USD and USD/JPY, tend to have the tightest quoted dealing spreads. This is because they have the highest number of active market makers who see considerable trading volume in those currency pairs each trading day and these traders often compete with each other for customer business by showing clients tighter dealing spreads. Dealing spreads also tend to decrease in a market with a higher volume because this implies that more traders are involved as buyers and sellers in such a market. This raises the chances of a market maker finding interested buyers and sellers at a particular point in time. Also, when more traders are keen to buy, the exchange rates quoted for a particular currency pair tend to rise because market makers raise their offers to reflect that they are keener to buy than sell to square their positions. When more traders are willing to sell a currency pair, the exchange rate will drop because market makers are probably becoming long from customer sales and therefore drop their bids. In high volume markets like the forex market with plenty of buying and selling activity occurring at the same time, this situation tends to result in a concurrent rise in bids and a decline in offers that naturally tightens the observed market dealing spread. This phenomenon helps explain why dealing spreads remain so tight in the high volume forex market when compared to many other financial markets — despite the fact that no other form of commission is typically charged on retail forex transactions that will help compensate the market maker for the risk they take on. Furthermore, other factors can affect and even change the prevailing bid ask spread being quoted for a particular currency pair. In addition to trading volume, these factors include things like market liquidity and the presence of other market makers available to quote prices and hence compete for customer business. Another important factor that affects the prevailing forex spread being charged by market makers and brokers is the current level of volatility. This is closely related to the risk of sharp exchange rate movements, which also tends to influence the width of the bid ask spread since market makers quoting prices in a volatile market take on a greater risk in doing so and so quote wider prices to compensate. The dealing spread is especially susceptible to being widened if market makers have a good reason to expect sudden and sharp movements, such as those wild market swings that are often observed affecting the prevailing dealing spread around the announcements of key economic data. An example of economic data that might affect the dealing spread would be the U.S. Non-Farm Payrolls number. This key data release can quickly and notably impact the market valuation of currency pairs that include the U.S. Dollar, especially if the observed number differs considerably from the number expected by the overall consensus of market analysts. Another example of a situation that might cause forex dealing spreads to widen would be around the outcome of a pending political election or a national referendum like the Brexit vote. Such news events can notably affect the relative valuation of the relevant currency and often result in substantial exchange rate swings that make quoting prices much riskier for the market maker. Since each currency pair tends to have its own typical dealing spread when quoted through a particular broker or market maker, it can help a trader who is sensitive to the width of a dealing spread to know which currency pairs tend to have the tightest spreads. In the Interbank market, some professional market makers will quote a fixed dealing spread for the major currency pairs of say, two pips, to their dealing desks. 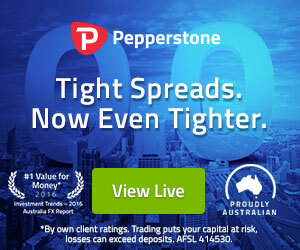 The customer service representatives manning the dealing desk will then routinely widen these dealing spreads to three pips when quoting the price to their clients. When it comes to the dealing spreads charged by online retail forex brokers, the example shown in Table #1 that follows is a list of current market bid ask prices and the resulting dealing spread as of February 22nd, 2017. Exchange rates and spreads are shown for all currency pairs that were then quoted by the online forex broker Oanda which typically deals with retail forex clients. Table #1: The fx bid ask and dealing spreads for all of the forex currency pairs quoted by Oanda on February 22nd, 2017. If a forex trader has an interest in starting to trade a particular currency pair, then it would be an excellent idea for them to first research whether the fixed or variable dealing spreads in that currency pair will be most conducive to the profitability of their preferred trading strategy. Which Traders Need the Lowest Forex Spreads and Which Do Not? In general, forex traders who deal the most actively tend to require the tightest or lowest dealing spreads to enhance their profits. This is because the higher the spreads they pay away, the more those spreads tend to eat significantly into their trading profits. Such active traders might include those who engage in scalping, frequent day trading, algorithmic trading, or other high volume trading strategies that involve regularly entering and exiting the forex market. The strategy will tend to be especially spread sensitive if only small profits are expected on each transaction. Those traders who deal infrequently or establish long term positions looking to participate in a multi-month trend in a currency pair are typically not that susceptible to the width of dealing spreads. This is due to the fact that they are anticipating much larger movements relative to the width of the bid ask spread they need to deal on, so the spread width usually has a small overall effect on their bottom line. Fixed Spreads – This means that the difference between the bid price and the ask price of the dealing spread will remain constant in quotations provided by the broker independent of current market conditions. These sorts of spreads will often be provided by retail forex brokers for accounts that are traded automatically so that the trader will know exactly what spread to expect when their algorithmic trading system enters and exits the market. Extended Fixed Spreads – This sort of dealing spread policy means that a portion of the dealing spread is set in advance, although another portion can be adjusted by the broker depending on market conditions. Variable Spreads – Spreads under this policy type will vary in width depending on market conditions. Variable spreads tend to be narrower when the market is quiet, and wider when the market is actively moving in a volatile manner. This kind of spread tends to reflect market conditions more accurately but introduces an element of considerable uncertainty into an active trader’s deal execution environment that can adversely affect their profitability. Before choosing a forex broker or market maker to do business with, every forex trader will first want to determine how important the width of the dealing spread is to their currency trading business. Some traders have developed very spread sensitive strategies, while others will have strategies that tend not to be highly affected by dealing spreads. If the spread width is of minimal importance to you, then you will probably want to choose any highly reputable and well-regulated broker who will provide good analytic information and a stable trading platform. On the other hand, if the dealing spread width is very important to the profitability of your chosen strategy, then you will want to take a considerable amount of time to select a trade execution partner that offers the best spreads in forex currency pairs you are considering trading. Also remember that actual forex broker spreads can vary from time to time in practice depending on prevailing market conditions and trade risk factors. Some online brokers offer fixed dealing spreads for the major currency pairs which can be a great feature for a trader to look for if the success of their primary trading strategy is especially sensitive to dealing spread widths. Some online forex brokers, such as the broker Oanda that provided the spread information in Table #1 above, will openly publish their fixed, actual and/or average dealing spreads on their websites. Once a potentially suitable broker has been identified, the next step would be to open a demo account to verify the broker’s dealing spread. Then, if everything looks satisfactory, then you can consider opening a modestly funded live account to check that live dealing prices correspond to the demo account dealing spreads and remain consistent. If the broker then seems reputable and meets all of your other trading partner criteria, only then would it be prudent to increase the funding of your trading account with that broker to any substantial degree.